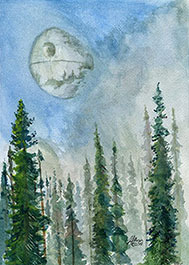 The Endor Morning Sky, ©2015 JMW. 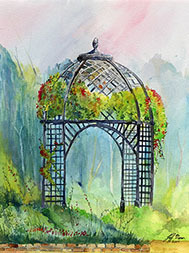 Welcome to the Art of Jeff Moser, Watercolorist. As a California resident, the artist, Jeff Moser has been creating artwork since his mid teen years. He has worked in acrylics, pencil, pastels, and has found that the watercolor medium opens up so many possibilities for creation. He continues to push the creative boundaries with each new artwork. Please take time to view the gallery section of his work.